Below the bluff where the Lost Whale Inn and gardens are located is Abalone Cove. Two miles of beach accessible by the Inn’s private trail. Lost Whale Inn sits atop beautiful bluffs along the Redwood Coast. Just below, you’ll find the beautiful Abalone Cove. Although the Redwood Coast is home to an abundance of beaches, we are fortunate at the Lost Whale Inn to have a private trail leading to the 2 miles of quiet, secluded beach below. The trail is steep, covers 9 acres, and can be considered difficult unless you are familiar with hiking. There is a rope to assist you down the last 50 feet. However, the trail itself is a magical journey, filled with wild berries, ferns, a beautiful tree canopy, a year-round creek, and viewing decks to look out over the beautiful ocean vistas. 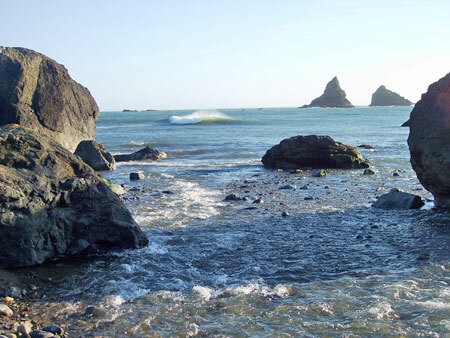 Whether you adventure down into the cove, or just sit and relax in one of the special spots on the trail and sip a glass of wine, the beauty of the Pacific Ocean will mesmerize you. If you do make it to the bottom of the trail, the beautiful solitude and amazing sea life found on this stretch of beach will reward your efforts, and make your stay at the Lost Whale Inn a memorable part of your trip to the Redwood Coast. While on this pristine beach, make sure you find Bosco, the Inn’s friendly “beach cat”, and watch him explore tide pools and hunt for hermit crabs. 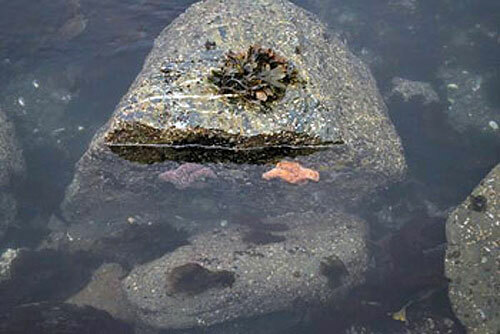 Low tide is the best time to view these tide pools, and there is a chart of the tides posted at the front desk for our guests. In our tide pools, you’ll find an enchanted land of dueling starfish, sunfish, octopi, urchins, sea anemones, sea snails, crabs, and countless other sea creatures. Once you’ve gotten your fill of the amazing sea life in these tide pools, take your time to comb the beach looking for sea lion teeth, agates, or other beach treasures. June through July, and January through March are the optimum times to view the baby sea lions on our beaches. The rookery here is one of the few on the Pacific Coast, but do be careful of sea lion mothers. Babies are born in December and May, and are generally very curious about humans they see wandering about our beaches. 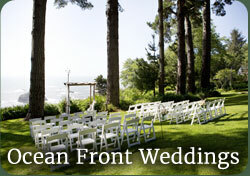 Meander to the southern end of the cove, and you’ll find a waterfall there, begging you to come in for a cool plunge. Our beach is a very special place to visit, and one that should not be missed during your stay with us on the Redwood Coast. 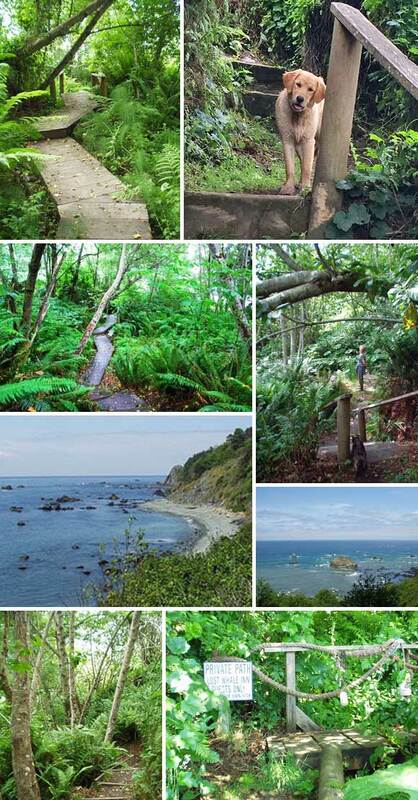 The trail is a magical journey, filled with wild berries, ferns, tree canopy, a year round creek and decks to just sit and look out at the ocean. Whether you adventure down into the cove, or just relax in one of the special spots on the trail and sip a glass of wine the beauty of the Pacific Ocean will be yours to enjoy! Just travel down the trail, take the rope at the bottom (!) and you will be in an enchanted land of dueling starfish, sunfish, octopi, urchins, sea anemones, sea snails, crabs and some creatures we just don’t know the names of! June through July and January through March are optimum times to view the baby sea lions. The rookery here is one of the few on the Pacific Coast of North America. But beware of sea lion mothers who can be protective and never get between a mother and her baby. Babies are born in December and then again in May and are quiet curious about the two-legged denizens of the Inn on the bluffs above. 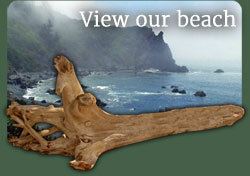 Explore the tidepools at the Lost Whale Inn’s own private beach. It is a lovely journey to get there, a short walk from your room!